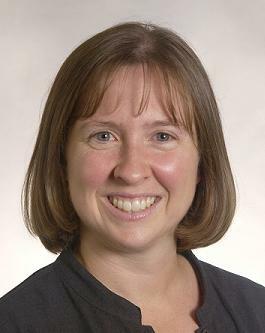 Bernadette McNary-Zak is an associate professor of religious studies at Rhodes College in Memphis, Tennessee. She teaches courses in the areas of early Christianity and Christian monasticism, as well as courses in the interdisciplinary humanities program. Her primary research interests and publications are centered around desert monastic practice, particularly in the period of late antiquity. She is also interested in pedagogical issues related to teaching in our discipline. Rebecca Todd Peters is associate professor and chair of the religious studies department at Elon University. Her research and teaching areas include economic and environmental ethics, sexuality issues, and reproductive concerns. Todd Peters’s book In Search of the Good Life: The Ethics of Globalization (Continuum, 2004) won the 2003 Trinity Book Prize. She has also coedited three volumes: Justice in the Making (Westminster John Knox Press, 2004), Justice in a Global Economy: Strategies for Home, Community, and World (Westminster John Knox Press, 2006), and To Do Justice: A Guide for Progressive Christians (Westminster John Knox Press, 2008); and has contributed chapters to nine books. She serves on the Board of the Society of Christian ethics and is immediate past president of the AAR Southeast Region. The contributors to this issue of Spotlight on Teaching are some of the members of a working group on undergraduate research in religious studies that met together from 2007–2009 to examine and discuss current practices in undergraduate research (UR) in our field. We wanted to learn about how scholars of religion were responding to the national call (Boyer Commission) for greater inclusion of undergraduate research in all disciplines across higher education. While not a new phenomenon, undergraduate research originated in the natural sciences and has been slow to spread to disciplines in the humanities. Our study considered how undergraduate research was being defined, and how religious studies students were participating in undergraduate research given the many approaches to the study of religion in our discipline. Undergraduate research commonly occurs outside the boundaries of the traditional classroom space in the form of a directed inquiry, independent study, honors thesis, or summer research experience. However, in some institutional and departmental contexts, undergraduate research may be the foundation of an upper-level seminar course or capstone experience. While our working group affirmed the Council on Undergraduate Research’s definition of UR as “an inquiry or investigation conducted by an undergraduate student that makes an original intellectual or creative contribution to the discipline,” we suggested broad latitude for how mentors and student researchers might interpret what this means for individual projects. The working group also suggested that undergraduate research needs to be understood as selective, collaborative, and of sufficient quality for public dissemination. The variety of methodological approaches used in religious studies offers students in our discipline a wide number of tools for pursuing research questions and developing research projects. Different foundational methods and theories also challenge students to confront issues pertaining to epistemology and social location in more direct and challenging ways than most traditional coursework. Given the fact that interest in undergraduate research in the humanities, and more specifically in religious studies, is a relatively recent development, we recognize that many faculty who might be interested in mentoring UR may not necessarily know how to go about getting started. Furthermore, the pedagogical skills and approaches necessary for undergraduate research are often quite different from those traditionally employed in the undergraduate classroom. The essays included in this edition of Spotlight on Teaching are intended to help religious studies faculty begin to think through some practical issues related to conceptualizing research projects with undergraduates, as well as offering some practical pedagogical strategies for working with them as mentors. Additionally, there are also ways in which pedagogical strategies that are effective in mentoring UR can be used effectively to promote engaged learning in the classroom. Consequently, we hope that these essays will be of use to faculty in a variety of pedagogical settings. Each essay relates directly to a component of the research process within the context of undergraduate research; collectively, these essays highlight some of the prominent theoretical and practical pedagogical concerns related to undergraduate research in our discipline. How do we get started with an independent research project when we are used to devising our own syllabi and passing them out to students? What does collaboration with students mean in the learning process and how can we effectively assess the work that students are doing in undergraduate research? Lynn Huber’s strategy of employing learning contracts with students offers insights into how to strategically prepare for a UR experience. How can we invite students to read with an eye to research? Undergraduate research often emerges from, and is fueled by, questions raised in close reading. Carolyn Medine’s strategies offered here for engaging students in close, careful reading are appropriate for people at all levels of study. How can we help students learn to assess the boundaries of their own understanding and to focus their attention? Undergraduate research incorporates a process of learning to think critically and reflectively in order to train a student about how to undertake discipline-specific research. Helping students generate a viable topic area and a set of research questions is central to this process. Jeffrey Brackett’s discussion of how to use journaling is presented here as a particularly useful strategy. How can we locate research in the contexts of the curriculum and institutional mission? John Lanci’s use of problem-based learning offers one strategy for addressing how to set parameters and define realistic expectations for undergraduate research. Moreover, problem-based learning can offer an opportunity to focus UR on the campus and/or local communities. How do we guide students throughout the research process? How is a student-faculty relationship centered on research defined? Paul Myhre’s strategies presented here for defining student-faculty collaboration and for mentoring students should help faculty think about the parameters of these relationships. Undergraduate research offers our students a way to learn directly about the contours of our discipline. It invites students to engage in those processes of creativity and discovery through which we continue to define knowledge and understanding in religious studies. Given the sustained interest in undergraduate research, our purpose is to propose some strategies that may help both new and seasoned teacher-scholars participate in undergraduate research and consider the place of this pedagogy in our discipline.